Although more than a century has passed since the heated dispute between Thomas Edison and George Westinghouse known as the “War of Currents”, the debate as to whether use of direct current (DC) is better than the now widespread use of alternating current (AC) continues. 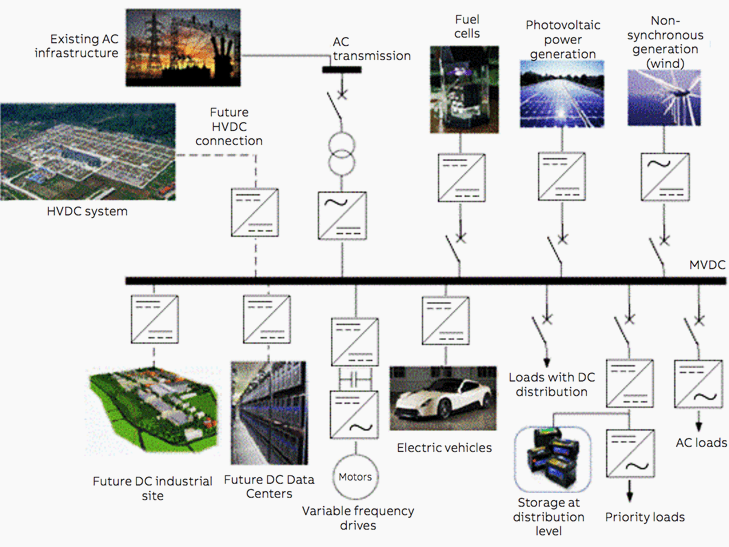 Development of modern static converters, growing use of renewable energy sources (e.g. photovoltaic generation plants) and new categories of users operating directly in direct current (e.g. distribution on board ships, especially military vessels, data centers and electric vehicles) have re-opened the possibility for direct current to no longer be relegated to merely specific applications but to be used more generally, for electric power distribution. 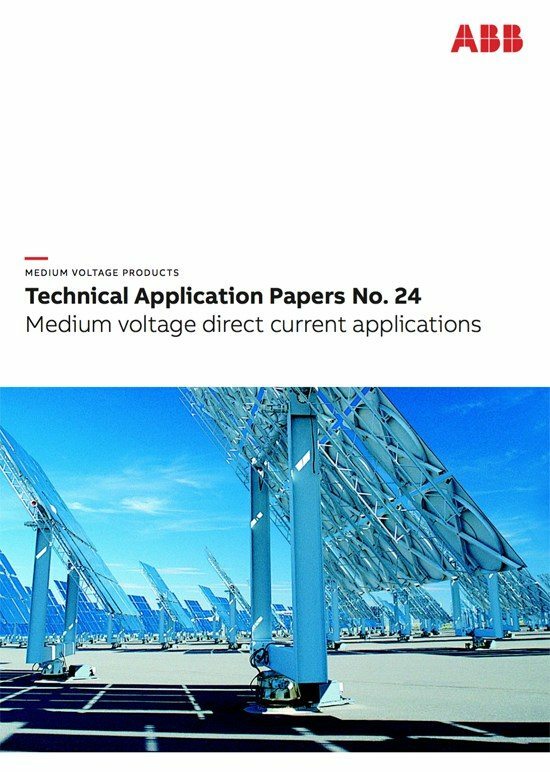 The purpose of this guide is to provide an overview of how direct current can be applied and an indication as to the state-of-the-art and possible future developments. The War of Currents had finally ended. Even though certain small DC distribution networks continued to operate until the end of the ’90’s, AC electric power generation, transmission and distribution dominated the twentieth century and is still the most widespread system. However, direct current is now re-awakening the interest of technicians and electricity authorities since, thanks to the developments in power electronics achieved over the last fifty years, the main problem, i.e. voltage variation difficulties, has been resolved. 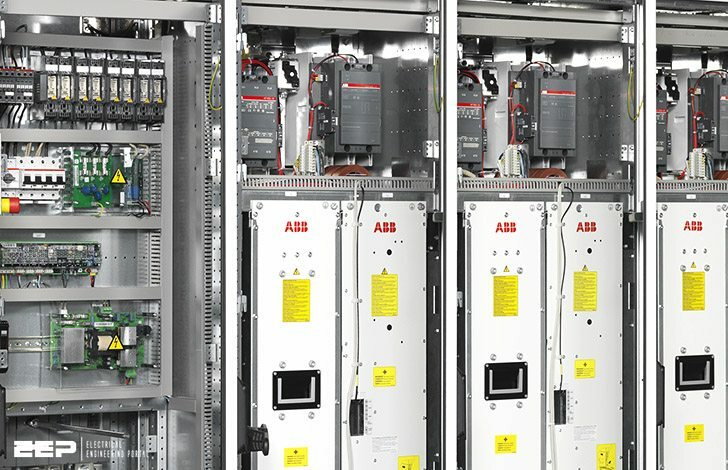 Modern static converters are now so reliable and efficient as to call into question the possibility of supplying direct current by harnessing its inherent advantages, first and foremost, lower transmission losses. Since AC distribution has always been predominant, designers of current-using equipment have been obliged to create such devices or their feeders for use with the AC voltage supply available. Failure to standardize the supply throughout the world, where various voltage levels are used and two or more frequencies, mainly 50 and 60 Hz, has made it even more difficult to develop products since companies have had to differentiate them to suit the market. The recent and progressive introduction of digital devices, the internal power supply of which is necessarily in DC, has forced designers to develop conversion stages, i.e. AC/DC rectifiers, so as to connect them to the grid, initially without worrying too much about their efficiency. Nowadays, and even though progress has been achieved as to the efficiency and control of these rectifiers, the massive presence of such loads is forcing a rethink regarding the structure of the existing power distribution grid. telephones, televisions and Hi-Fi systems. All these devices are powered in DC via rectifiers and already represent about 20% of the total electric power consumption. It is easy to forecast that DC loads will reach 50% of the total consumption within the next few years.